Day Dreamers™ feature a 5x7 inch archival fine art giclee print mounted on a wooden plaque designed to stand on a table or desk as well as hang on a wall. For protection, each is finished with a 4 mil clear polyethylene laminate allowing for safe, easy cleaning. 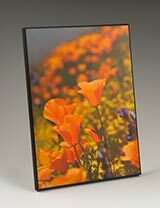 Day Dreamers™ are ideal for office decor and other small areas that could use a little artwork. They're fine art for finite spaces. Click the shopping cart beneath the thumbnail photo that you want. Or use the 'add to cart' button on an image's enlargement page. Online orders accepted from U.S. customers only. For international sales, please contact ASP Images. If you have any questions or prefer to make an offline purchase please contact ASP Images. Did you know daydreaming is good for you? Psychologists have found that daydreaming relaxes us, boosts productivity, enhances creativity, alleviates stress, helps us manage conflict, and fortifies our values and self-esteem.